Why is it so important to get it correct from the start? 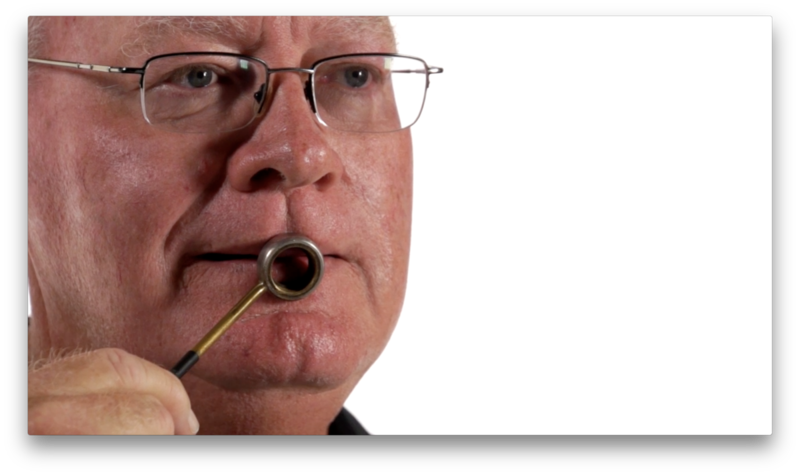 WHY IS IT IMPORTANT TO PLACE THE TRUMPET MOUTHPIECE CORRECTLY? In fact, we’ll argue that learning where to place the trumpet mouthpiece on your lips is the most important element to learn for beginners. Correct mouthpiece placement will help you develop range and endurance much faster because your lips won’t be working against you. Conversely, like any bad habit, incorrectly placing your trumpet mouthpiece can lead to problems that will become more and more difficult to fix as time goes on. TAKE YOUR TIME. PRACTICE RIGHT. WHERE SHOULD I PLACE MY TRUMPET MOUTHPIECE? Short answer, think of this ratio: 3/4 Top to 1/4 Bottom. You can alter the ratio a bit (5/8 Top to 3/8 Bottom), but it’s best to remember that your top lip is the hero and will carry most of the load. 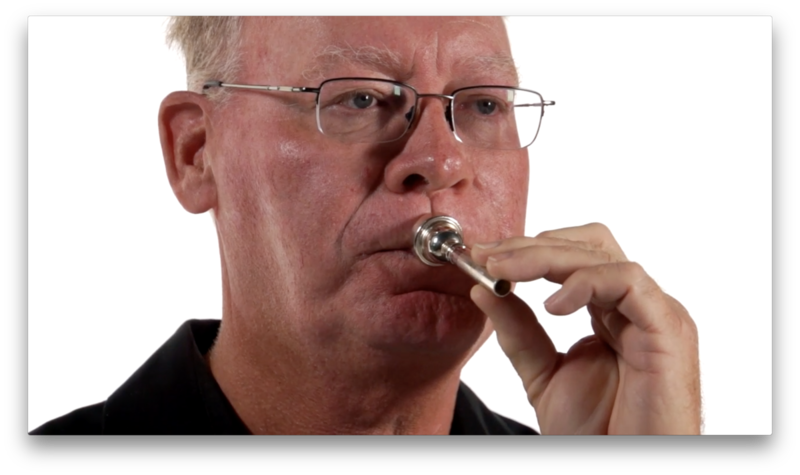 If you’re taking private lessons or are in a music program, ask your teacher if they have a ‘mouthpiece visualizer.’ This handy tool allows you to see, using a mirror, through a cut-out mouthpiece and straight into your embouchure. If you don’t have access to a mouthpiece visualizer, don’t fret. 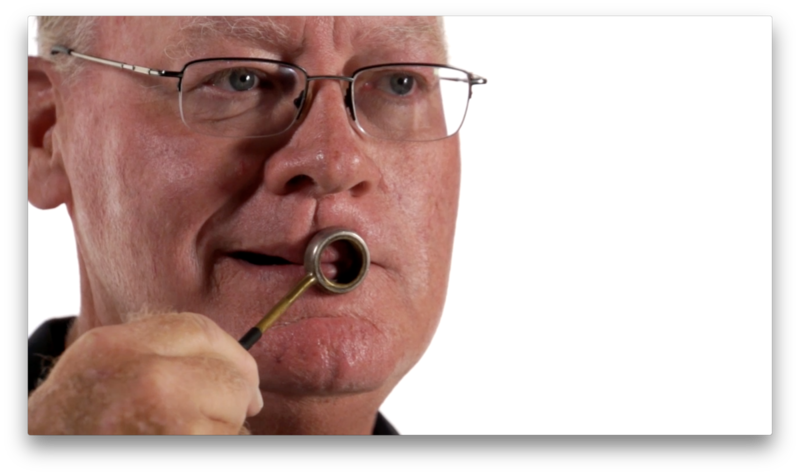 Use your thumb and pointer finger to form a circle roughly the same diameter as your mouthpiece. Find a mirror, place your fingers against your lips just like your would your mouthpiece, and check to see if your top to bottom lip ratio is correct. We recommend beginning trumpet players practice this technique for the first 30 seconds of practice time during their first few months of playing. IS THERE AN INCORRECT WAY TO PLACE THE MOUTHPIECE? Avoid dropping the mouthpiece too low. 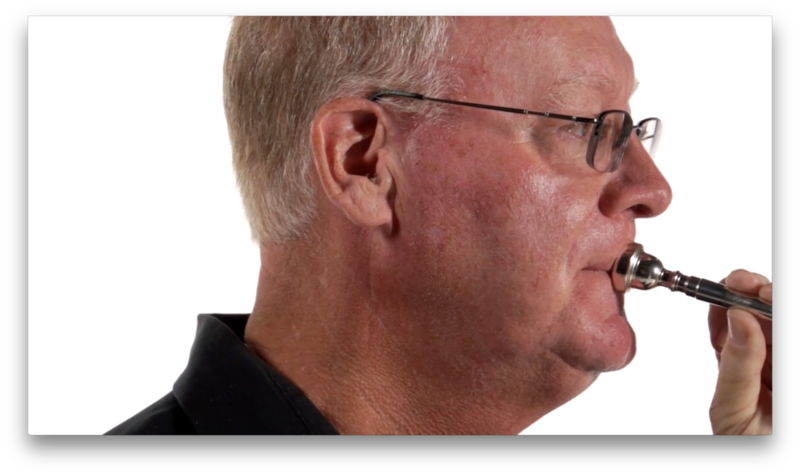 It might feel okay because you feel your top lip making contact with the mouthpiece, but you’re also not taking advantage of your entire top lip. Avoid placing the trumpet too high. Give your bottom lip some love. In fact, your bottom lip mainly acts as a support for your bottom lip. It’s a critical piece of the equation. Avoid playing out of the side of your mouth. This is sometime called “playing off to the side of your arms.” You see this with a lot of beginners, and the reason is simple: it’s easier to get a good, controllable sound early on. The problem is, you’re hurting your future playing abilities and not taking advantage of your whole lip. So go forth and practice proper mouthpiece placement. If you’d like additional resources on how to play the trumpet, you’ve come to the right place. MusicProfessor offers 100s of online Trumpet lessons taught by one of the best instructors in the US. Get access to multiple years worth of trumpet instruction for less than the cost of a single private lesson.